Blackjack side bets come in many shapes and sizes. Many traditional and online blackjack games have their own lineup of side bets. 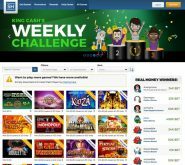 It would be impossible to come up with a complete list of side bets, though all blackjack side bet options generally fall under a few different categories. Here’s a breakdown of both common and obscure blackjack side bets. The 7 card is a big player in blackjack side bets. Sometimes called Super Sevens bets, this side bet is a proposition wager on whether or not the first card you are dealt is a 7. This bet traditionally pays off at 3-to-1. Another Super Sevens side bet is whether the first two cards you receive are 7s. Because this is a far less likely event, a winning Double Sevens bet pays off at 50-to-1 or more. Taking it a step further, some casinos that use multi-deck blackjack shoes offer Suited Sevens bets, which state that if you are dealt two suited sevens, you win a payoff as high as 100-to-1. There’s one more Super Sevens bet that is one of the least likely occurrences in the casino. If the first 3 cards you are dealt are 7s, regardless of suit, you can earn between 500-to-1 (for unsuited triple 7s) or as much as 5,000 to 1 (for suited triple 7s). The Royal Match bet pays a small bonus if the first two cards you receive are suited, called an “easy match”, and a much larger bonus if the first two cards you receive are a suited king and queen, which is called the Royal Match. You’ll find several versions of this side bet, with the payouts expected just under 97% to 93%. One blackjack side bet you might not see as often in the streak bet. In this proposition, you win the bonus if you have a certain number of winning hands in a row. When you have split pairs, you’ll need to determine a net win for the total hand. For instance, if you split 7s and win on one hand while pushing on the other, that’s considered a net win. Take note that most streak bets don’t allow you the surrender option. This proposition calls for you to bet on whether your hand will be over 13, under 13, or exactly 13 after you’re dealt two cards. For the purpose of this bet, aces count as 1. If you make this wager and all things are even (when card counting), the better proposition is to be Under 13, which has a house edge of over 6% instead of over 10%. The exactly 13 bet, which pays at 10 to 1 odds, is over 7% house edge. In this bet, you win money if your first two cards are a pair. If the first two cards are a suited pair, you’re paid even more. This blackjack side bet, which has been spotted in Las Vegas, Atlantic City, and Tunica, is one of the better side bets in blackjack from the player’s perspective. The expected return ranges from 99.41% for a popular one-deck variation to a 96.15% for one of the six-deck variations. The 21+3 side bet in blackjack is based on the first two cards you’re showing and the dealer’s face card. If the combination of these cards are a straight, a flush, a straight flush, or a three of a kind, you win your side bet. The house edge on these games ranges from over 2% to somewhat over 3%. The Sweet 16 side bet in blackjack pays if you get a 16 or more on your first two cards. This bet pays at 1 to 1. Also, one ace pays at 1 to 1, while two aces pay at 2 to 1. If you get a pair of 2s through 7s, you get a push. This combines for a 97.42% house edge. The Lucky Ladies bet involves making a 20-hand, while the best payoff is for a pair with the Queen of Hearts. If you receive a Queen of Hearts pair making 20, you’re paid at 125 to 1. If you receive a Queen of Hearts pair while the dealer makes a blackjack, you win 1000 to 1 in payoff money. A matched 20 (matched rank and suit) gives you 19 to 1 odds, while a suited 20 pays off at 9 to 1. If you build a hand with an unsuited 20, you’re paid at 4 to 1. This is a series of side bets in which either you or the dealer, or both, get a blackjack. You can bet on the player getting the blackjack, the dealer getting the blackjack, or both of your hitting on it. If both you and the dealer get blackjacks with an ace and jack of spades, you win a progressive bonus payoff. Below are some other blackjack side bets you’ll find in casinos. Each blackjack floor is going to offer its own list of side bets, so learn what the side bets are in the local card rooms where you live. 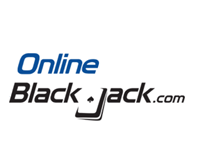 Online casinos also sometimes offer their own selection of blackjack side bets. Bonanza Blackjack – Player has a hard or soft 20 and the dealer has a 10-point card of any type. Hi/Low Side Bet – You can bet on whether your first card is going to be higher or lower than the dealer’s card. 2 through 6 Side Bet – If the dealer is dealt a 2 through 6 card, you win a side bet. Jack Magic Side Bet – This involves getting jacks in your hand and the dealer’s face-up card. You’re paid more for one-eyed jacks. Match the Dealer Side Bet – For each of your first 2 cards which matched the dealer’s up card, you win a side bet. Lucky Lucky Side Bet – This involves getting certain combinations in your first 2 cards and the dealer’s up card: 777, 678, and other combinations that add up to 21. Bonus Spin Side Bet – In this game, you’ll receive a spin at a wheel if you win the bonus spin side bet. The prize wheel range from 5x to 100x. Dare Any Pairs Side Bet – This bet pays at 11 to 1 and is simple as can be. If your first two cards are a pair, you win the 11 to 1 bet. Is Video Blackjack Dead in Las Vegas?